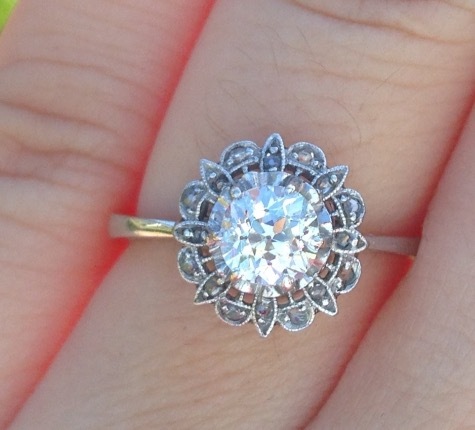 Wow, Mico caught this amazing antique rose cut halo on Ebay, can you believe that? I am often shocked and impressed by the resourcefulness of PriceScopers when it comes to finding fabulous jewelry! That gorgeous setting is so feminine and delicate looking, like a beautiful lace flower. While Mico ultimately decided to list it for sale, it was lovely to get to enjoy the images! Thank you for sharing such a fab find with us! 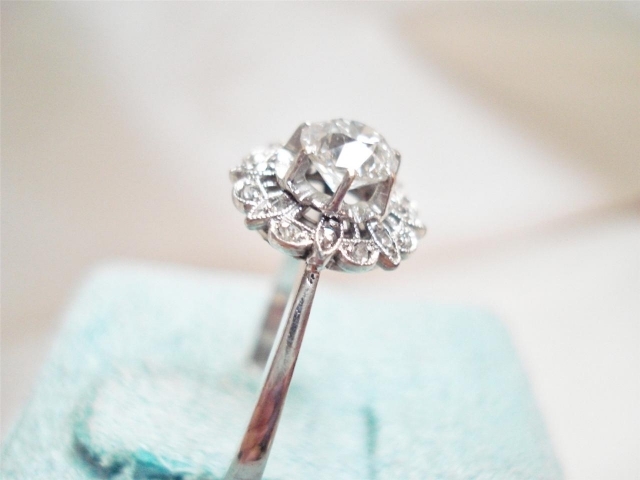 Around the center stone are 16 rose cut diamonds. You can sell your pre-loved jewelry to fellow PriceScopers on the forum! To learn more about Antique and Vintage Jewelry on the PriceScope forums!